providing support for a healthy lifestyle. calorie-conscious diet and 6-8 glasses of water daily. spectroscopic studies and conversion to known compounds. and a body mass decrease when compared to the control sample. increase in body weight over the same period of time. wishing to have a control of their food intake as well as their body mass. that of citric acid, the primary acid in citrus fruits. management on a short-term basis. indigestion in many parts of the world. added to the meal, CA increased TEF in women and to values similar to men. metabolic rate, which aids in burning the calories and weight control. and having a mild diuretic effect. diet-induced thermogenesis observed in the post-obese subjects. balance and may promote thermogenesis in the treatment of obesity. low calorie diet and exercise regimen. between the thermogenic response to caffeine and body weight loss. energy expenditure, promoting thermogenesis, and reducing body weight. for stomach ailments, constipation, water retention, and liver disease. Tokushima Otsuka rats as normal-control. loss by its ability to reduce hyperlipidemia, which was no withdrawal rebound. immune enhancement, detoxification, as an energiser and to prolong life. was higher during treatment with green tea extract than with the placebo. activation of thermogenesis, fat oxidation, or both. agents that could help in preventing a positive energy balance and obesity. and helps to fight viruses and to detoxify alcohol and other substances. Vitamin C is essential for maintaining healthy immune and nervous systems. subjects received ascorbic acid daily, while 19 subjects received placebo. cells, where they are metabolised to release energy for body functions. Carnitine thus increases the use of fat as an energy source. were assessed at the beginning and end of the study period. favourable effect on fatigue and serum lipids. positive effect on the circulatory system, as well as the cholesterol level. cayenne significantly reduced the desire to eat and hunger after breakfast. and macronutrient intakes were examined in ten Caucasian male subjects. snack served several hours later. cayenne may help to reduce appetite and energy intake. 5-HTP from L-tryptophan, a natural amino acid found in most dietary proteins. intestinal peristalsis and other body functions. observed suggest that 5-HTP may be safely used to treat obesity. efficient permeability across the barriers. 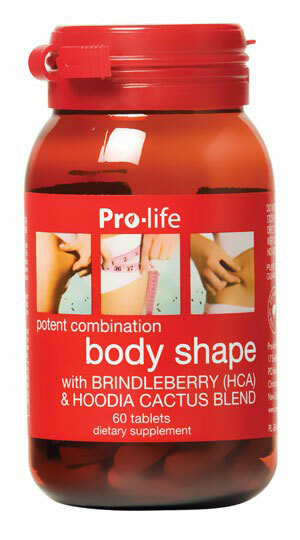 supplement that supports a healthy lifestyle. and anxiety in some individuals. Clin Nutr. 1999 Dec; 70 (6): 1040-5.
postobese human volunteers. Am J Clin Nutr. 1989 Jan; 49 (1): 44-50.
citrus aurantium. Obes Res. 2005 Jul; 13 (7): 1187-94.
syndrome animal. Mol Cell Biochem. 2007 May; 299 (1-2): 93-8.
acid in obesity. Nutr Health. 1985; 4 (1): 25-8.
body composition, lipid profile and fatigue. Drugs Aging. 2003; 20 (10): 761-7. Nutr. 2007; 16 (1): 25-9. Metab Disord. 1994 May; 18 (5): 345-50.